My little guy turns one tomorrow. We are having family over for dinner, so I quickly decorated and made party hats. 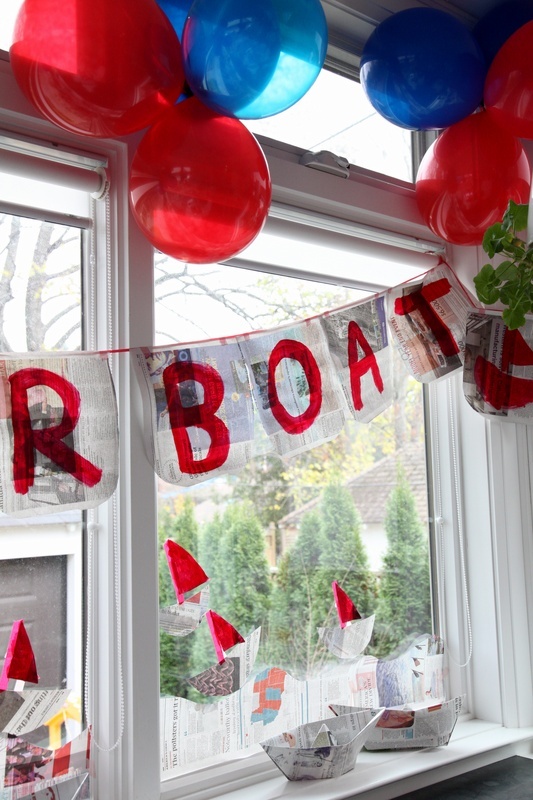 I used stuff that we had on hand: newspapers, paint, washi tape, ribbon, and balloons! ps. 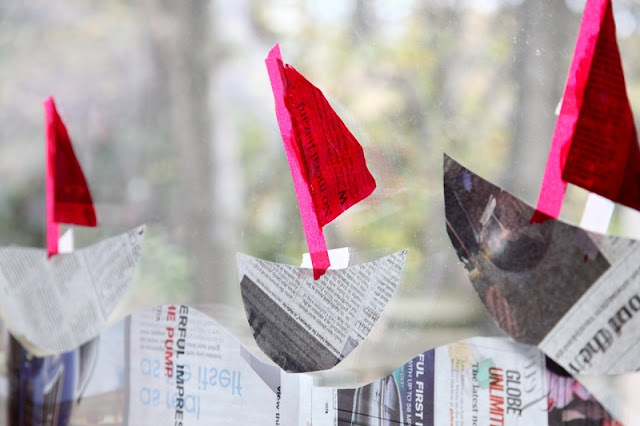 Remind me in a year or two that a paper airplane birthday party would be the bomb! pss. In my head, I wanted powdered blue balloons with the red...but, I had dark blue balloons in my cupboard, so that's what went up! It feels less red, white + blue in person...the newsprint is blown out in my photos and looks white. Love this theme. So creative and adorable! 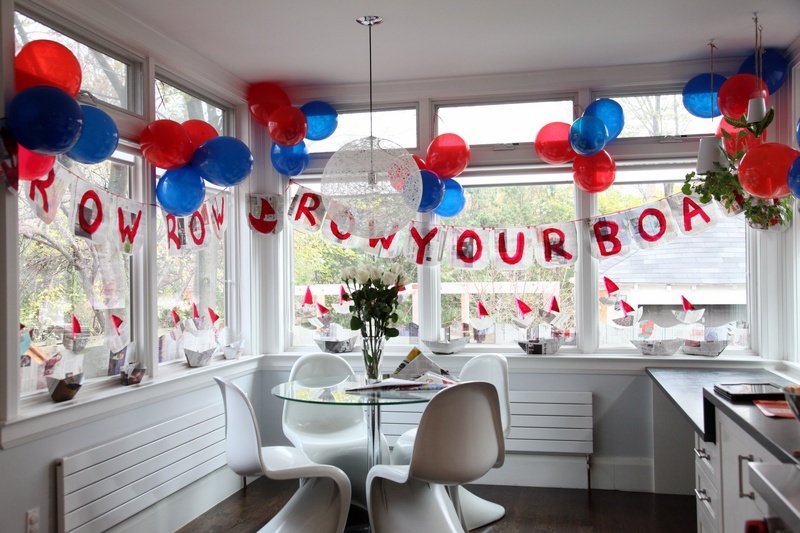 It looks it is going to be fun ,love the deco and Happy Birthday for your little one. It looks great. 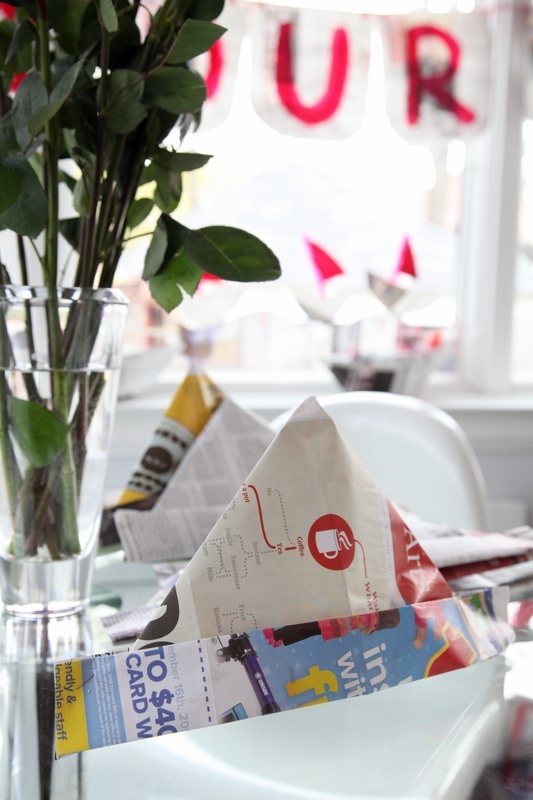 I love the way you used the newspaper.